New Hampshire joined the growing list of New England states to jump into the sports betting fray earlier this month when Representative Tim Lang (R-Belknap 4) filed HB 480, a bill that would legalize sports wagering, including state-wide via mobile devices and web platforms. A hearing before the Ways and Means Committee is set for Feb. 7 in the state capitol of Concord. 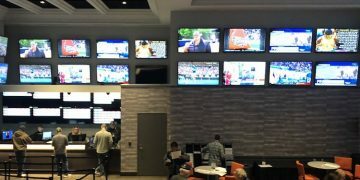 The bill is New Hampshire’s first foray into sports betting, and comes just a few months after Rhode Island became the first state to cut a ribbon in New England, and as Massachusetts and Connecticut, both of which have casinos, continue to wrestle with how to legalize. 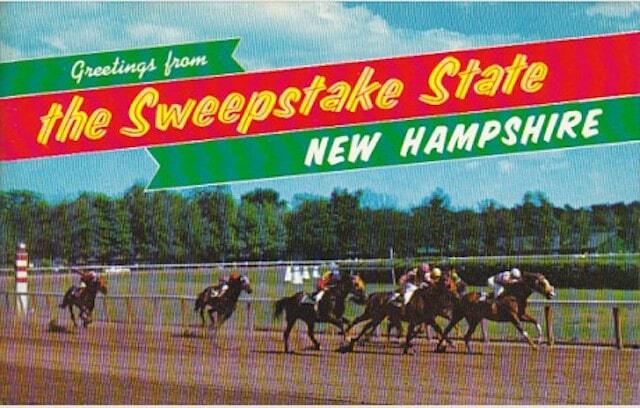 New Hampshire has no casinos, but does have several horse racing tracks scattered around the state, and hosts NASCAR’s Loudon Classic at New Hampshire Raceway. At Wednesday’s hearing, Lang’s bill could either be moved on to the House floor as is, with an amendment, or it could languish in committee. 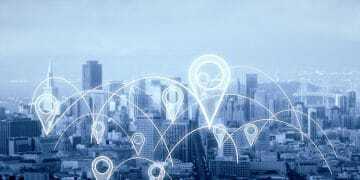 The comprehensive bill creates a regulatory body, details how a city or town would approve a sportsbook within its boundaries, and prohibits betting on on college sports. According to the fiscal note attached to the bill, New Hampshire could expect to see up to $7.5 million in revenue in 2021 and up to $13.5 million in 2023. The fiscal note assumes the bill will pass by July 1 and that sports betting would launch in 2021. As Lang’s bill heads to committee for discussion, two other New England states have begun exploring legal sports betting. In the middle of the month, Vermont Representative Benjamin Jickling (I-Orange-Washington-Addison) introduced H 46, which would create a sports betting study committee, and according to a story in the Press-Herald, Maine lawmakers are preparing to a package of sports betting bills. In Vermont, Jickling’s bill was referred to the House Committee on General, Housing, and Military Affairs, and does not yet have a calendar date. In Maine, Senate President Troy Jackson (D-District 1) is planning to sponsor two bills that would legalize mobile and internet sports betting, according to spokesperson from his office. The bills would bar betting on Maine college teams and would name the state’s Gambling Control Board as the regulatory body. At the same time, Representative Benjamin Collins (D-District 42) is reportedly crafting legislation that would legalize gaming and sports betting on tribal lands. Legal to bet on college games: No. Fee or royalty or compensation to pro leagues: No. Use of “official league data” mandated? : No. Regulatory body: Division of Sports Wagering.